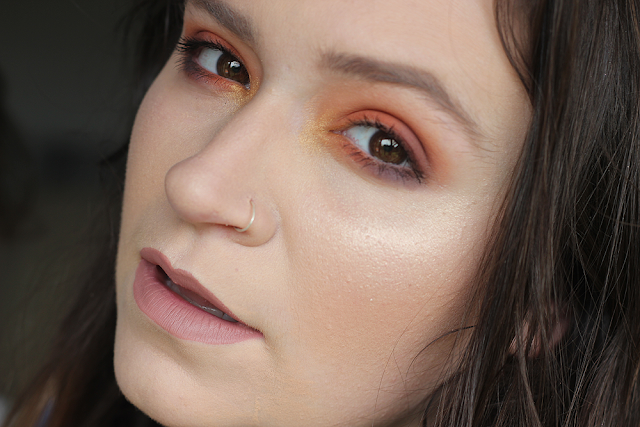 There's just something about warm weather that makes me want to slather all the oranges, reds and yellows I have all over my face. 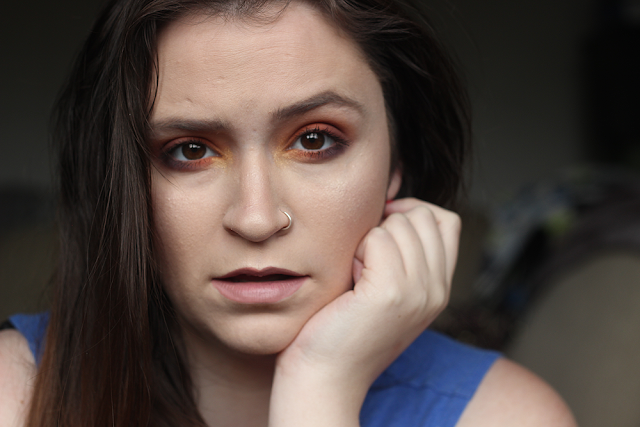 Also, I'm SO in love with LORAC Mega Pro 2 Palette so any excuse to use that and I'm all in! PS. A little pic heavy ahead! 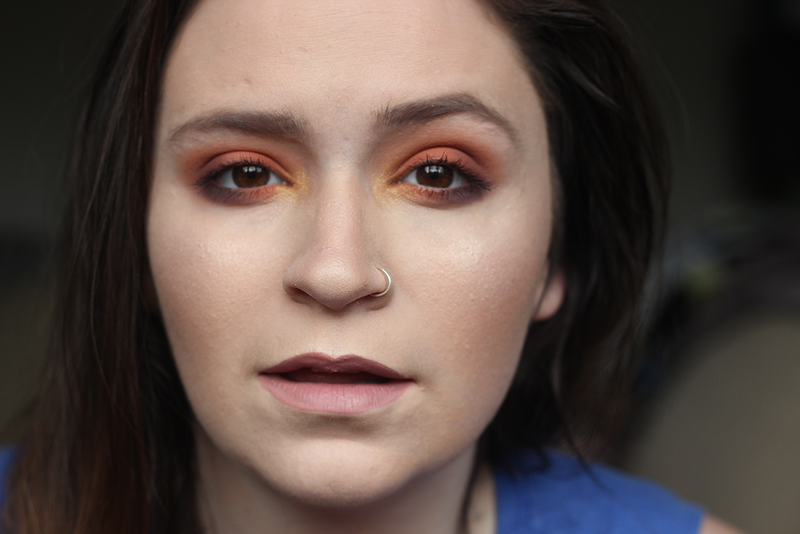 FACE: CoverFX Custom Drops in N1 (mine are all caked up - suggestions for new foundation? 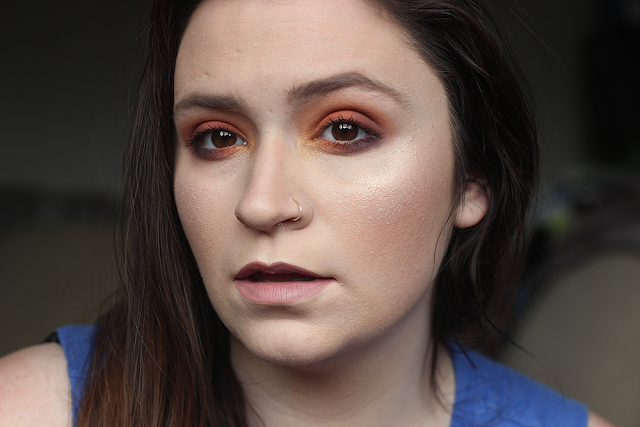 ), It Cosmetics CC+ Concealer in Light and set with Laura Mercier Secret Brightening Powder, ABH Contour Kit in Light + ColourPop Aphrodisiac blush. 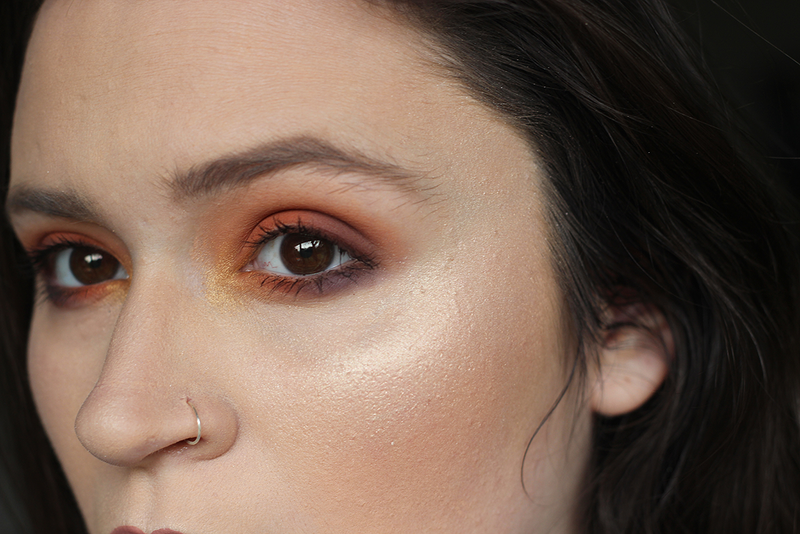 EYES: MAC Paint Pot in Painterly as a base, LORAC Mega Pro Palette 2 - Melon in the crease, Tangerine and Cabernet on the lid, Tangerine, Cabernet and Ash on the lower lid, Gold Leaf in the inner corner. Benefit Roller Lash Mascara on the lashes. The eye makeup is gorgeous. I love your prismatic eye color look that you got going in your summer makeup look!! 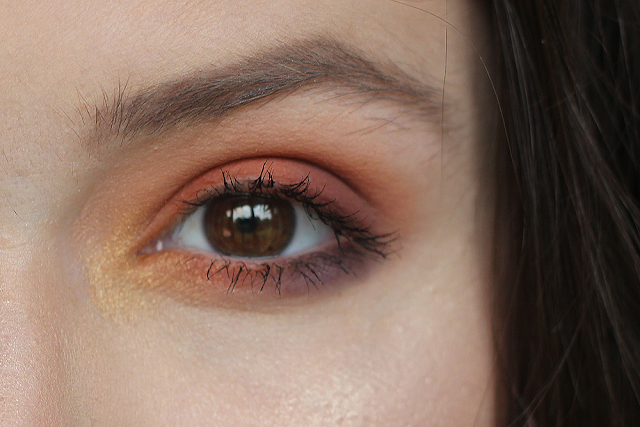 I need to do something similar with the shades that I have on hand myself for a fun, summer look! Love the eye makeup and especially love that lipstick on you!